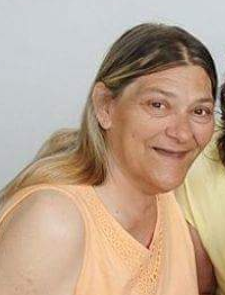 Tammie K. Brock 57 of Frankfort passed away Sunday, December 17, 2017 at the Clinton House in Frankfort. She was born on May 27, 1960 in Indianapolis to Kenneth Carl Roberts & Billie J. (Gross) Spears. Tammie worked as a Certified Nursing Assistant in Frankfort previously working at the Clinton House, Wesley Manor and the Parkview Home. She attended Frankfort schools and enjoyed all types of music. Services will be held at 2 p.m. Wednesday, December 20, 2017 at the Archer Weston Funeral Chapel, 501 E. Clinton Street-Frankfort, IN 46041. Friends may visit from Noon until time of service. Burial will follow in Bunnell Cemetery. The Goodwin Funeral Home is assisting the family with arrangements and services. She is survived by her Mother: Billie J. (Companion-Roy Scott) Spears of Burkesville, KY; Son: Anthony Roberts of Templeton, IN; 3 Daughters: Angie (Husband-Jaime) Garcia-Templeton, IN, Diana (Husband-Herbie) Carroll-Frankfort, & Kathy Moore of Frankfort; Brother: Carl (Lupe) Roberts of Downey, CA; 2 Step Brothers: Jim (Lupe) Spears of Frankfort & Tim Spears of Frankfort; Foster Brother: Louie Meadows of Kentucky.